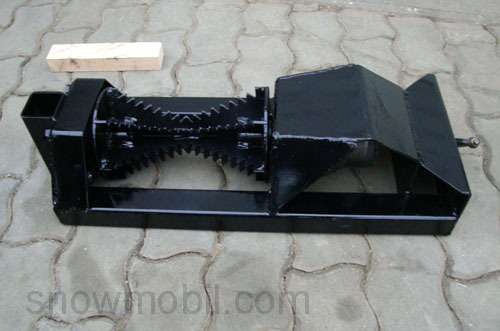 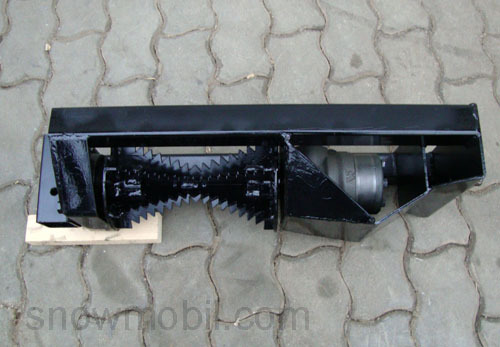 To meet the demand of the hobbyists, we have ordered the auger / spiked roller with hydraulic motor as a spare part. 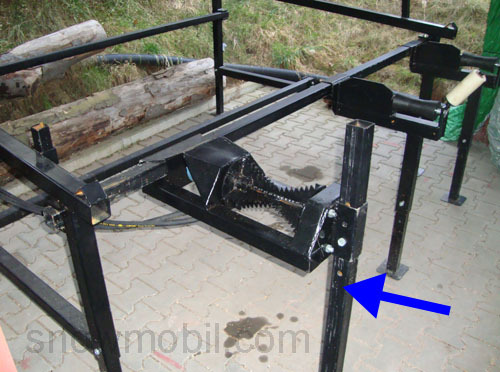 Thus, it is possible to build a wood-feed trestle or trunk timber support table themselves. 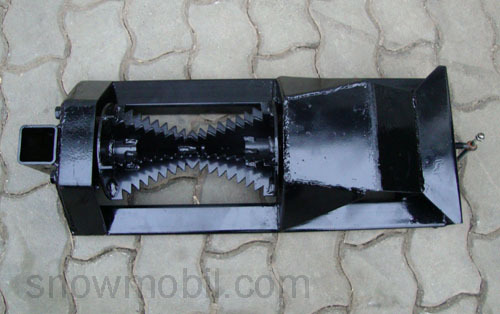 In the brackets of the intake roller / spiked roller, a 4-square tube can be plugged with a diameter of 50x50mm. 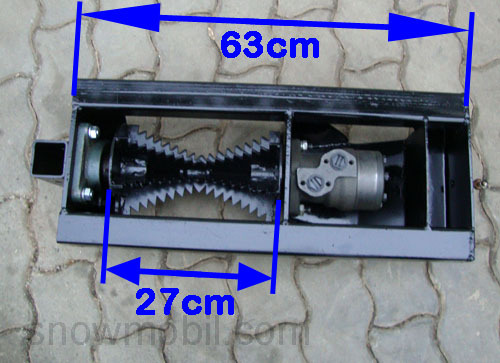 Here you see the spiked roller when installed.